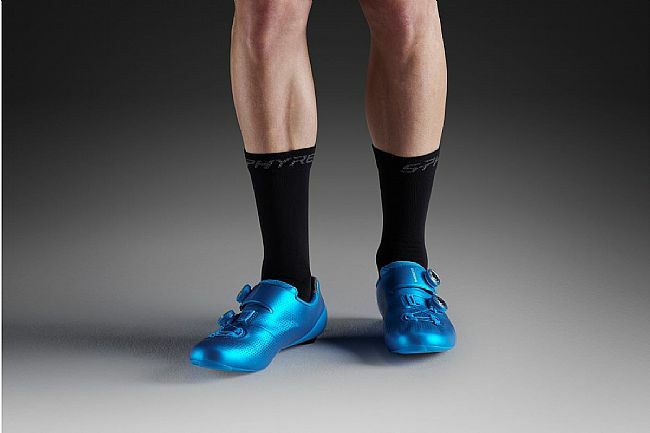 Shimano's 2019 S-Phyre Tall Socks offer luxurious comfort, ventilation, and control. 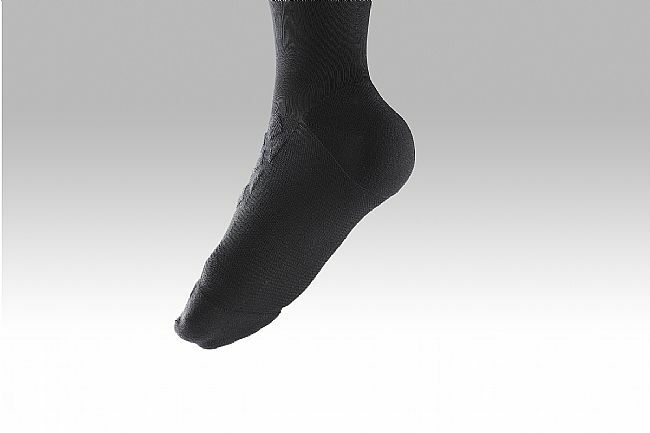 A unique integrated dot pattern is used over the top of the foot to provide additional cushioning while sole ventilation and left- and right-specific ventilation channels ensure thorough and consistent heat dispersion. 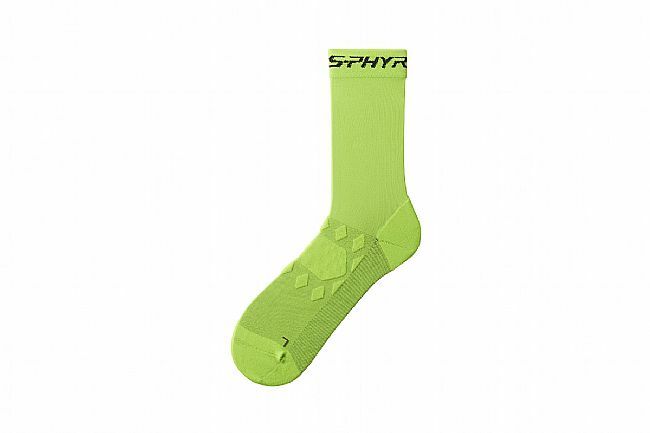 For enhanced control, the mid-foot features thinner construction, providing a more direct feel. A knitted anti-slip heel is utilized to work with S-PHYRE footwear. The long cuff height offers a modern, stylish look and extended lower leg coverage. 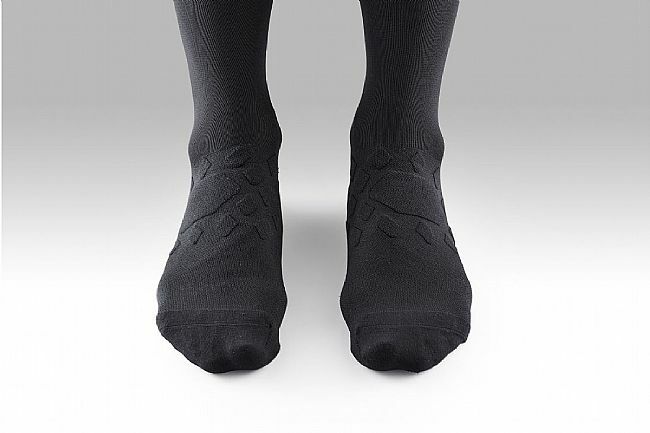 52% Polyamide, 42% Polyester, 6% Elastane.